The email and telephone updates from Sammy Gray on your efforts to restore electrical power to Mountaineer families are much appreciated. This situation once again reminds me of how often we take our comforts so much for granted, and are surprised and distressed when we they are not always available to us. Please also pass along my gratitude to all of you and your associates, who are striving so hard to restore power. Thank you for the note - we will pass it along to the employees working diligently to restore power to our customers in WV. Thank you for the kind words. This is the worst that I ever have seen. 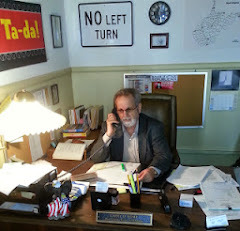 I have given West Virginia Delegate Larry D. Kump the "Greatest Delegate in the House" award. The "Morgan Messenger" June 20th editorial, "Marriage Counselor's Full Employment Act", was another excellent disclosure of government obstruction and interference, this time with marriage. Regardless of the good intentions of the sponsors of HB 4605, which was passed by the Legislature and signed into law by the Governor, I strongly spoke out and voted against this ill-conceived legislation. It greatly increases license fees for West Virginia marriages and also attempts to coerce nascent newlyweds into a government approved indoctrination course. Bottom line: West Virginia now is discouraging marriage, by increasing marriage fees and adding more bureaucratic challenges to nuptials. 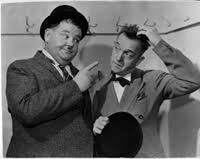 "Laurel & Hardy" perhaps sum this up best, "Here's another fine mess...". Reflecting yesterday, on our nation's "Flag Day", it grieved me to consider the panderings of a handful of partizan zealots, from both major political parties, who use the anonymous local newspaper readers' forums ("Journal Junction" & "Mail Call") to distort and manipulate issues on behalf of their political parties and candidates. Do they not realize that they are contributing to the disillusionment and disgust of the people in our entire political process and Constitutional system of governance, bought so dearly by patriots' blood? Are our forefathers turning over in their graves? * "Atlas Shrugged" is a political novel by Ayn Rand.